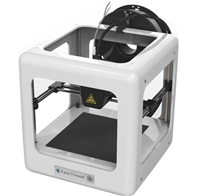 Nano 3d printer, features in simple operation and high accuracy, undoubtedly is the best mini 3d printer for students and children on the market now. Great useful to establish students' three-dimensional cognition ability, and thus enables them to feel the objective existence of the world, improve their creativity, practical operation ability, problem solving skills and so on. And its price is awesome! Once you owned it, you can save a large bill of purchasing boring toys. 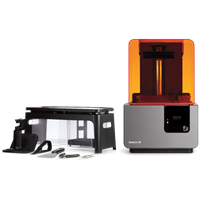 This 3d printer can stimulate your kids' interest in tech and design, develop their ability on various aspects, such as three-dimensional modeling, hands-on ability and creativity. 4 lead screws make printing process more smooth and stable, thus achieving higher precision. Self-developed nano slicing software, containing rich model libraries, is already stored in the tf card before shipping. No need of assembling. Just press the print button gently after the tf card is inserted, nano automatically starts printing after warm-up. Use a power adapter to save energy and ensures electric safety. More convenient to carry. Replace the heated bed with frosted panel, keep the child safe and prevent the model from warping when printing. 188 * 188 * 198mm, weighs only 1kg. You can carry it or put it anywhere to start your creative works.